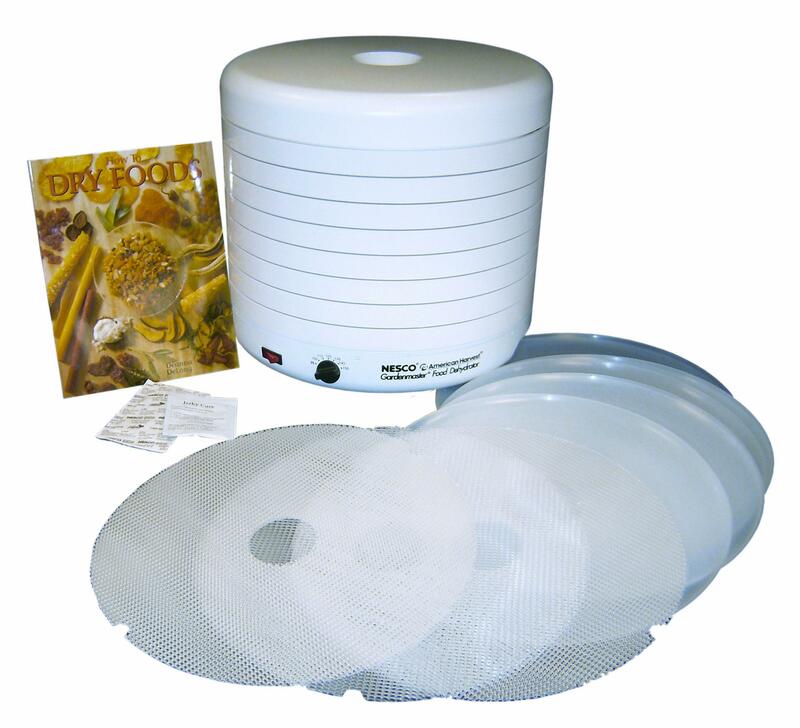 Are you looking for much does the food dehydrator costs? 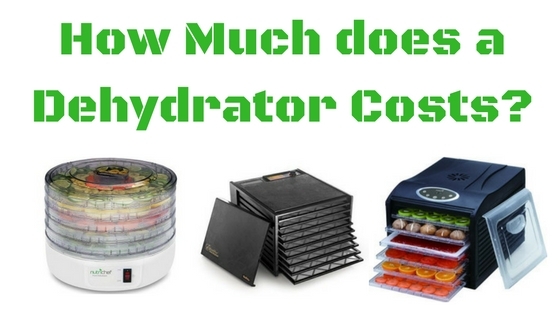 Do not get worried, here we have covered that what factors affect the cost of a food dehydrator to some extent. It is quite obvious that a requirement and needs of a person always vary from person to person and so is the price of this amazing appliance. 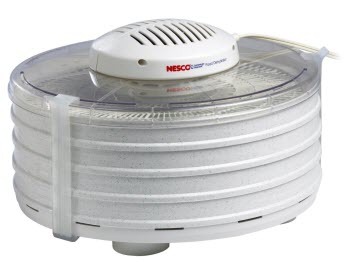 The Nesco American Harvest FD-37A Food Dehydrator is the best appliance for any person who wants to make a lifetime investment without spending a lot of money. 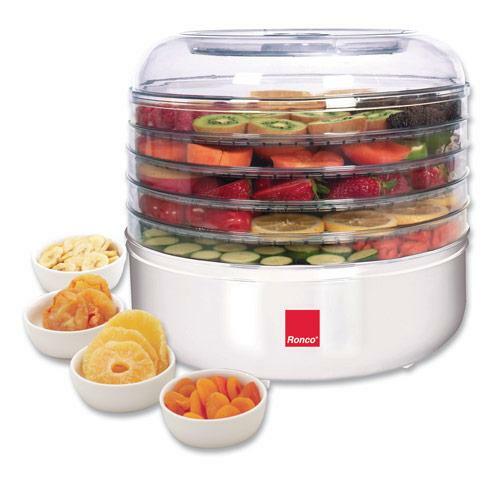 With the help of this dehydrator, you can simply relish the innumerable advantages of drying food at your own home. When you buy this product, you can decrease on the expenditures that incurred in purchasing store-bought fruit rolls or leather. Since this is the model of entry level, it does not originate with several features. On the other hand, a person who does not have any experience of using a dehydrator, Nesco American Harvest FD 37A Food Dehydrator will surely turn out to be the very user-friendly appliance. 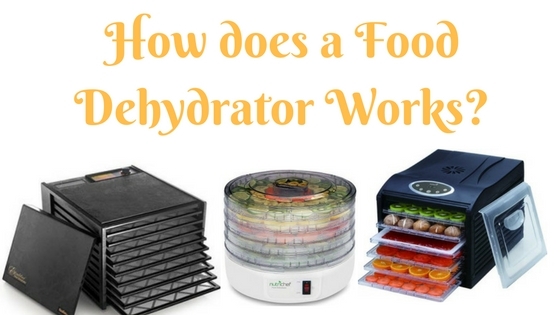 ​Ever wonder how a food dehydrators works? ...in simple words, dehydrator produces the heat and removes the water content in the food item. Dehydrators are very simple appliance which contains few items with the help of that it does it's job (removal of water from food item). It's very easy to understand. As I told earlier, A food dehydrator is an appliance that is used for drying food item like vegetables and fruits with the process of dehydration. 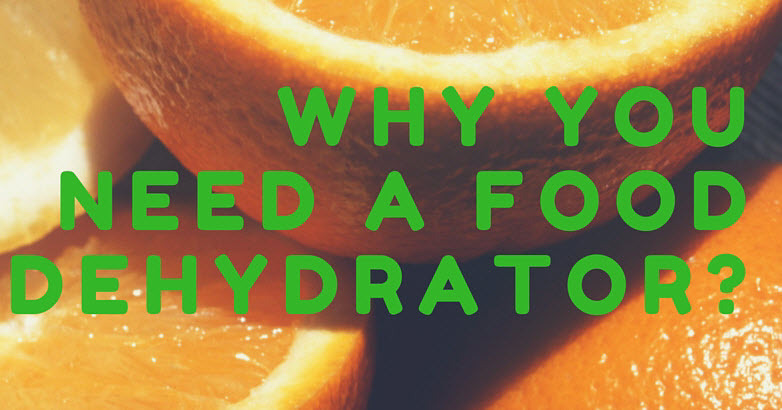 Dehydration is a method of food preservation that eliminates moisture from the food so that it can last longer. Due to the absence of moisture, the bacterial growth gets reduced which also leads to the avoidance of spoilage. A Food dehydrator is exclusively designed to assist you in drying out your own vegetables as well as fruits at the ease of your home. This amazing appliance has to turn out to be extensively popular among the various people of the world due to the benefits it fetches. With the help of this appliance, you become capable of effortless preservation of the organic food without adding any extra fat or salt. This machine is manufactured from diverse types of materials and from which the most common appliances are stainless steel food dehydrator and plastic food dehydrator. 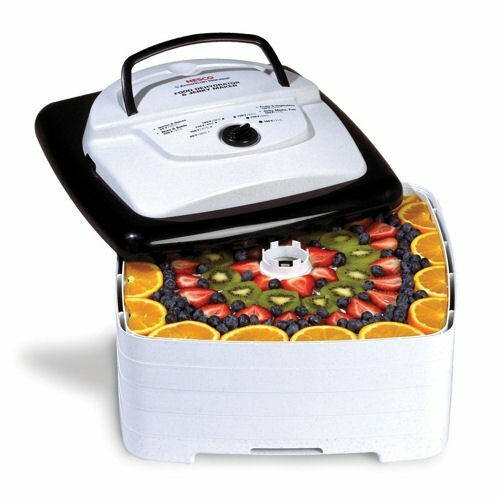 A food dehydrator is basically an electrical appliance that uses both things i.e. air as well as heat to eradicate the water or moisture content from the foodstuffs. If water is present in your food, then it can get spoiled easily but in the food items without water, you can stop the growth of bacteria and mould in it. Bacteria, yeast, and moulds require the water in the food for their adequate growth and if you dry out the foodstuffs effectively then it becomes easy to avoid them from persisting inside the food. If you are looking for an extremely cheap food dehydrator, then the Ronco FD1005WHGEN 5 Tray Electric Food Dehydrator must be the best option for you. This appliance may not comprise of all the essential features which usually present in more costly dehydrators, however, it definitely does its work professionally. This food dehydrator will also help you in relishing the innumerable advantages of homemade dehydrated food at a reasonable rate. The Waring Pro DHR30 Professional Food Dehydrator is one of the best affordable appliances that possess some exceptional features. 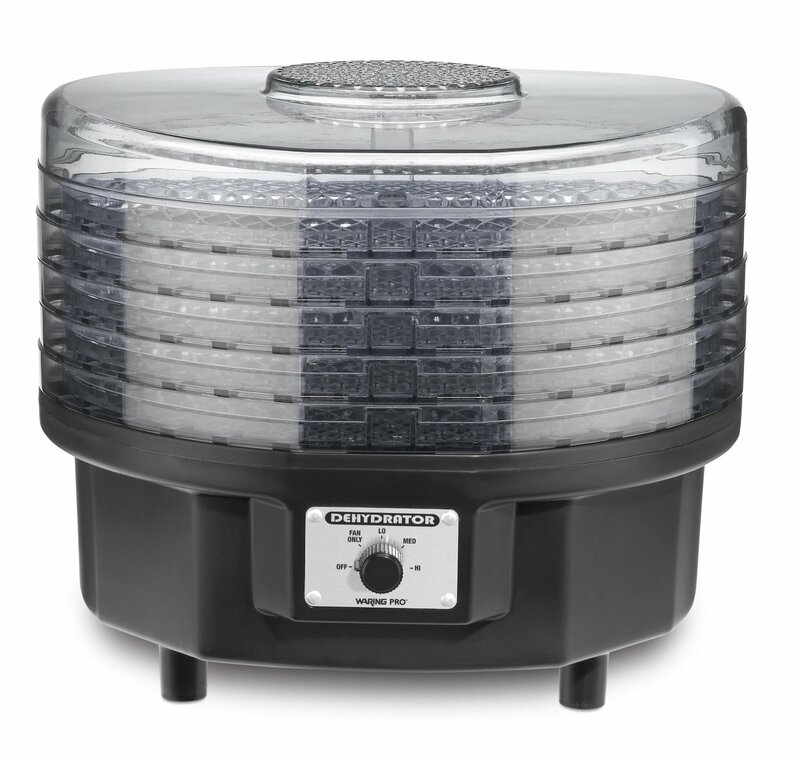 This specific model is although not a professional dehydrator but it is an optimum choice for the new user. Due to the presence of three settings of the thermostat, this product is remarkably user-friendly whereas, at the similar time, it is also filled with all the elementary features which a person usually requires to relish the numerous benefits of food drying. If you are looking for a mid-range appliance for your kitchen, then the Nesco FD 1018A Gardenmaster Food Dehydrator is the best option for you. 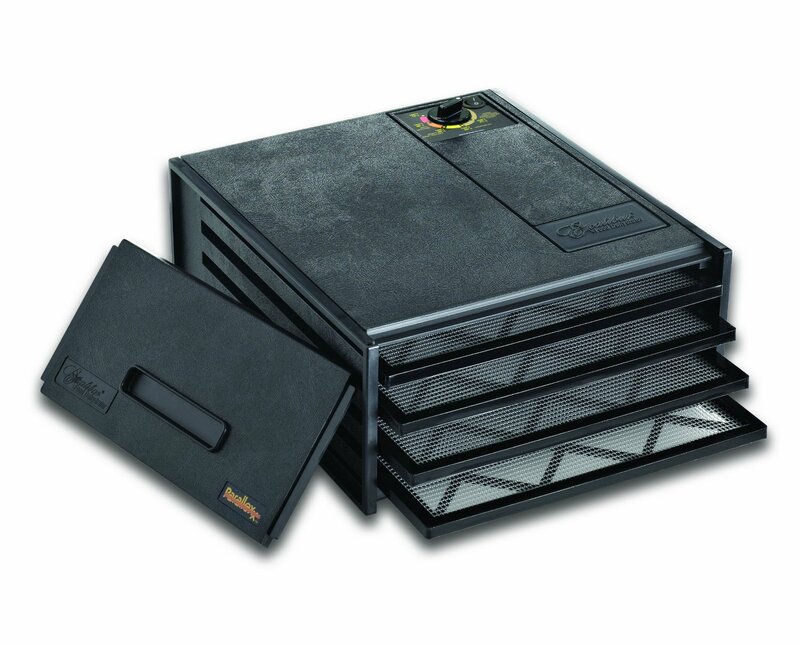 It is packed with all the relevant features which are generally found in the most costly models of dehydrators. This appliance is available at fairly reasonable price along with the largest dehydrating capacity which makes it a great investment for the needful buyers.